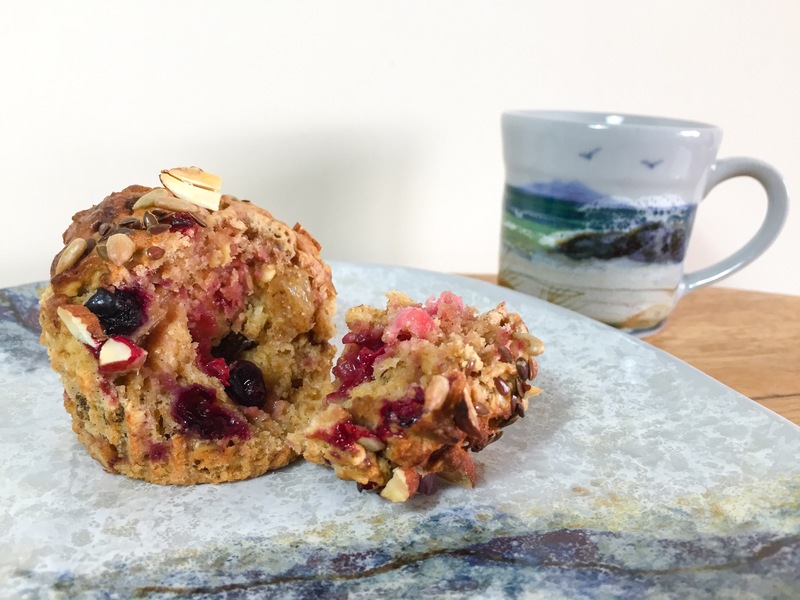 For my first post in September I thought I would share the recipe for my hedgerow muesli muffins. 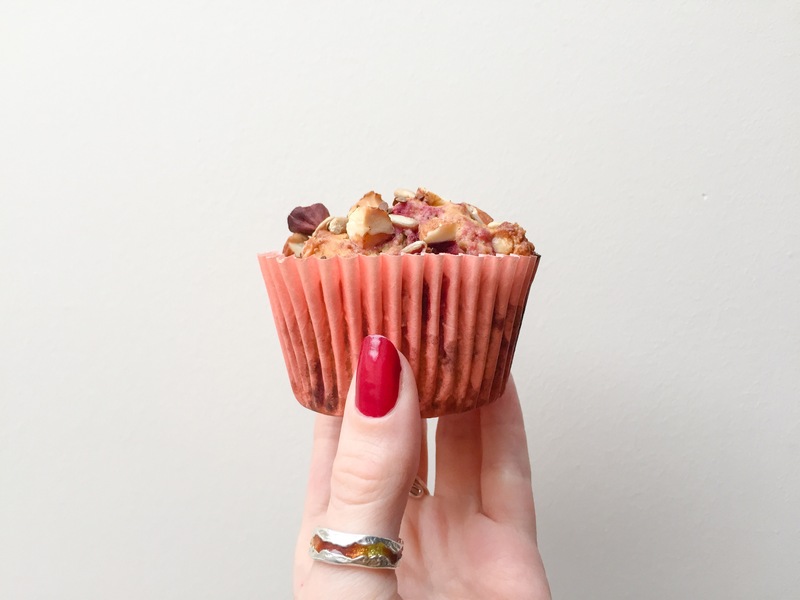 I love these muffins and they are the perfect excuse to eat cake for breakfast! They are great to take out on picnics or a snack at work. I call them hedgerow as they contain hedgerow berries such as blackberries, raspberries, blackcurrants and redcurrants. We have a great local farm shop, Black Isle Berries, which grows amazing berries, I have been quite a few times this year picking strawberries, raspberries, blackcurrants, redcurrants and gooseberries. 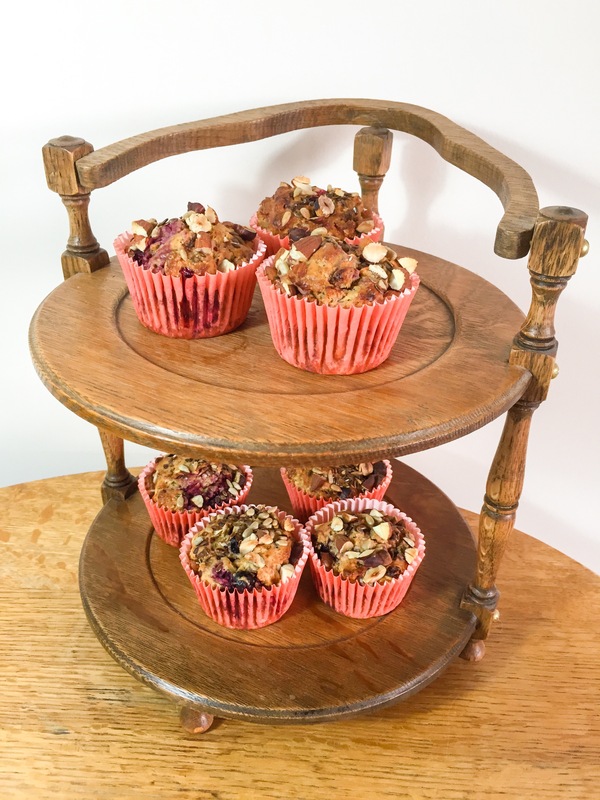 It also has muesli in these muffins, I use an apple and cinnamon muesli which goes incredibly well with the berries or my homemade granola would work too. I use coconut oil instead of butter as I like the flavour it brings to the muffins but butter would also work. Pre-heat the oven to 170C. Line a muffin tin with greaseproof paper muffin cases. Sift the flour, baking powder and salt into a mixing bowl. Add the sugars and muesli and stir until everything is well mixed. Whisk the skyr, melted coconut oil, vanilla bean paste and eggs together. Add the wet ingredients and berries to the dry and mix until just combined. Don’t over mix as the less mixing the lighter and fluffier the muffins will be. Spoon the mixture into the muffin cases. Chop the hazelnuts and almonds roughly then mix together with the sunflower seeds and linseeds and sprinkle on top of the muffins. These looks delicious and healthy! I love your clean photos too!